One could argue that Francis Kurkdjian, the enfant terrible of the perfume industry, is not averse to playing with fire. He regularly crafts bold creations and dares to tread where many other perfumers do not. I truly believe that he is one of the great perfumers of modern times, up there with the likes of Dominique Ropion and Jean-Claude Ellena. The work he does for designer brands is often bold and trend-setting, resulting in many of the modern classics we revere today, fragrances such as Jean-Paul Gaultier’s Le Mâle and Narciso Rodriguez for Her. For his own brand, Kurkdjian crafts accessible designer-style fragrances with high quality materials, elevating the genre to its highest point. His latest creation, Baccarat Rouge 540, feels like a departure from his radiant MFK style and is instead, an essay in contrasts, olfactory shocks and unconventional luxury. It serves as further proof that he is at the cutting edge of the industry and the very top of his game. 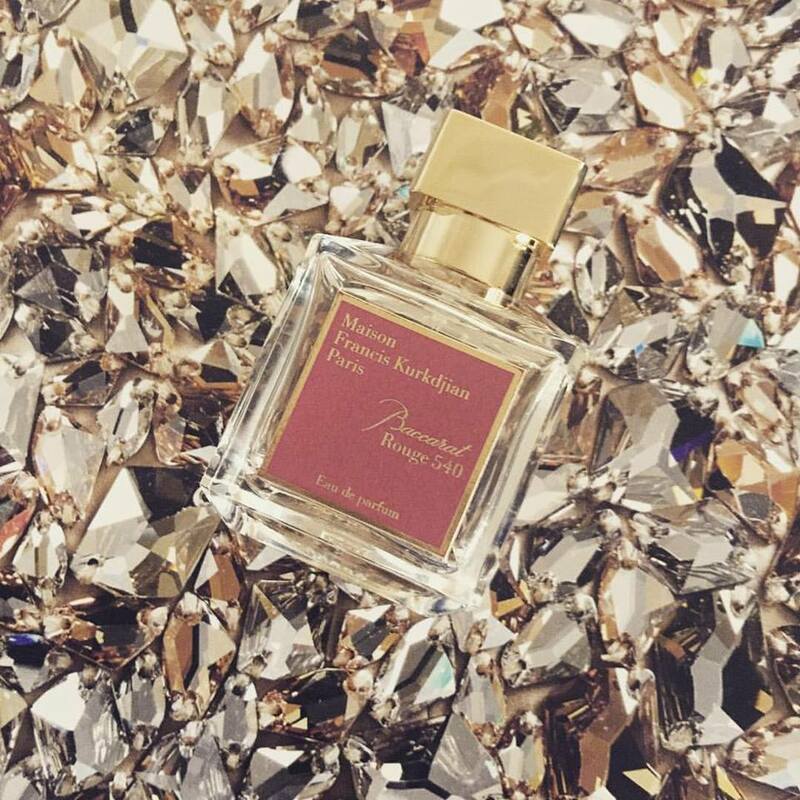 Baccarat Rouge 540 came into being in 2014 when Kurkdjian was approached by the legendary crystal maker to create a limited edition fragrance housed within an exquisite Baccarat crystal flacon (you can see that here). The Baccarat Rouge 540 we see today is the much more affordable, but still rather luxurious, Eau de Parfum incarnation. For his inspiration, Kurkdjian looked to the house’s signature red crystal, a colour that features in many Baccarat designs, with one red crystal included within each and every chandelier since 1987. It is the red crystal of Baccarat that this fragrance presents in olfactory form. The fragrance is crafted around three accords, each of which celebrates an integral facet of the manufacturing process for Baccarat crystal: mineral, fire and craftsmanship. Kurkdjian stated that he wanted to create a “graphic” fragrance that represents both the density and transparency of crystal, and also the modernity of the brand, which is moving back into the fragrance market following an extended break. This is a fragrance that Kurkdjian created to be representative of the future and that is exactly what he has done, “starting from the dry down and building up like a house of cards”, a perfume that is entirely new and positively futuristic. Orange candy, that’s where we start with Baccarat Rouge 540 and it’s far from the starting point one expects, that’s for sure! The opening is thick and juicy, with a chewy orange note that is both delicious and luxurious, and attributed to marigold and the lemony tones of Citral. This decadent and delicious sweetness is accompanied by an icy mint note that, with a opalescent sheen, allows the candied fruit to shimmer like deeply faceted crystals. All of this is trapped within a forceful whirlwind of something entirely contrasting and unexpected: salty marine air. The key components of Baccarat Rouge 540 are ambergris, specifically Ambroxan and ethyl maltol – two polar opposite materials that are used here to create a strong identity, one that is half candy floss and half salty sea breeze. The ethyl maltol represents the fire required to heat sand into crystal and within the fragrance it presents a sense of sweet strawberry syrup, an effect that Kurkdjian calls “burnt strawberry jam”. To me, it’s almost novel to use such a material within a luxury fragrance, after all many designer and drugstore scents are built around a central core of ethyl maltol, wafting with huge clouds of burned sugar and candy floss. But in Baccarat Rouge 540 the sugar is served as decadent and luxurious, tempered by a touch of saffron to cut through the sweetness, making for a more upscale affair. The ambergris accord is there to provide the airflow through which the fire moves. It’s the part of the fragrance that creates the sillage – the trail that carries the rest of the notes way up into the air. The effect is a strange, sticky marine impression that feels absolutely massive but also pale and distant. It lasts for an absolute age and once everything else has flown from the skin, what’s left is a delicate wisp of slightly sweetened brine, darkened by the mushroom-like and dirty facets of Evernil. It’s not quite aquatic, well not in the traditionally fresh and ozonic sense, but it is marine-like in a deep and oceanic way, almost like some fancy piece of ambergris candy sold exclusively at Fortnum & Masons for an extraordinary price. Jasmine is used to represent the idea of craftsmanship: the third requirement for making Baccarat crystal. This jasmine is effortlessly light, adding a slight bitterness to that overall airy effect created by the Ambroxan. It’s delicately handled, smelling slightly green and ever so softly indolic, lending a touch of breathiness to this complex and fascinating composition. Jasmine isn’t the star here, far from it, in fact I’d say that it’s simply a small piece of set dressing that impacts the mood of the piece in a wholly subtle manner. Baccarat Rouge 540 is one of Kurkdjian’s most intriguing works. It has that glowing, luminous quality that is instantly recognisable and familiar with much of his back catalogue however, it feels like it has come completely out of the left field style wise. With this fragrance Kurkdjian crafts an entirely new genre: the aquatic gourmand, and what’s more, he takes something that could easily be trashy and cheap, and creates a fragrance that is abstract and luxurious. I implore you to check this out and whilst it may not be for you (I reckon it will be quite divisive) anyone interested in fragrance is likely to find it to be a fascinating piece of work. Baccarat Rouge 540 is available in 70ml Eau de Parfum for £195. A limited edition Baccarat Crystal Edition is also available in 100ml for £3,000. Sample, notes and quotes via Maison Francis Kurkdjian. Image 1 is my own. 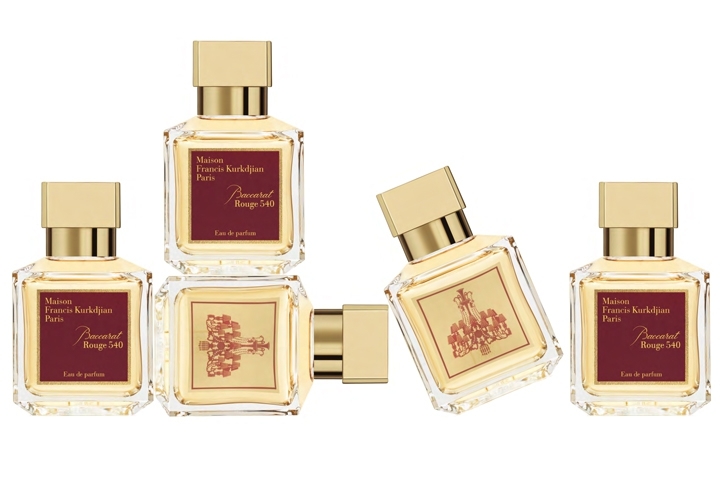 Posted in Aquatic, Gourmand, Maison Francis Kurkdjian, Unisex and tagged Aquatic, Baccarat, Baccarat Rouge 540, Crystal, Francis Kurkdjian, Gourmand, Maison Francis Kurkdjian, Marine, Perfume Review, Red, Rouge. Bookmark the permalink. Absolutely awesome review, an experience to read! Glad you enjoyed it! The scent is pretty awesome so it was easy to write about. Waw ! Thank you for such a précisé and inventive way of speaking of this perfume ! I just smelled it and like it a lot but with your words it acquired another aura ! ( I am not an expert but I do smell a very strong jasmin red a bit like the exclusive Armani perfume red jasmine) thank you ! I will now check my other favorite perfume on your website !